Today's faucets do more than just regulate the flow of cold and hot water into your sink. In the kitchen there are many available features, such as pull-out or pull-down sprays, water filtering systems and a variety of designer styles and finishes. Look for the latest modern conveniences that will make your life easier. In the bath, style is usually the decision maker and often the bath faucet is available with matching accessories to create a "suite" look in the overall bath. However, when evaluating different styles certain features such as high spouts allow for more room to fill cups and wash hands. Water filtration systems are also available for bathroom faucets and guarantee purified water for teeth brushing while leaving in fluoride for healthy teeth. Some faucets provide a source of cold drinking water that bypasses home water-softening systems allowing the water to retain natural minerals. Keep this in mind the best solution for leaky faucets is a preventative one: buy and install a washer-less or cartridge-based faucet in the first place. 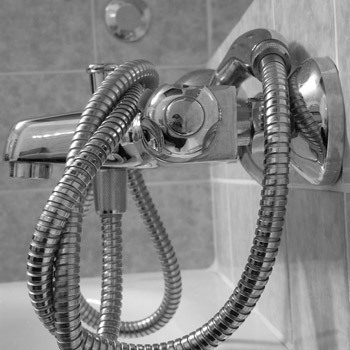 With these faucets, you don't need to worry about replacing worn-out or ill-fitting washers. Their advanced, one-piece construction means greater reliability and better performance. The washer-less cartridge faucet eliminates the leaks associated with washers. It also features a one-piece, self-contained assembly. Fewer parts mean that there are fewer things to go wrong. Replacement with the cartridge is easy - just take out the old and drop in the new without the hassles of many complicated components. Some faucets are simply made better quality than others. Look for faucets constructed of copper, brass and other high quality materials. These faucets will give you superior looks as well as performance and durability. 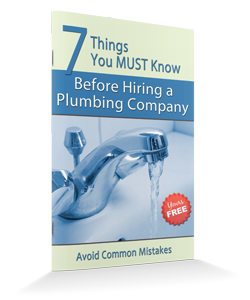 And while you may pay a bit more for a quality faucet, here's where that old adage comes true, because when it comes to plumbing products, you really get what you pay for. The plumbing industry has standardized sink and faucet dimensions, which should make your job of finding a new faucet easier. Most faucet manufacturers offer a wide selection of faucets for any kitchen or bath setting. To determine what type of faucet you need in the kitchen, you should count the number of mounting holes you have under your sink. Your sink can have up to four holes and may be difficult to see from the top of the sink if they are covered by an existing faucet and deck. In the bath, the faucet is typically set in either 4" or 8" width configurations. In the 4" set you can have a center-set or mini widespread setup; if it's 8" or more, it is known as a widespread set. When you choose your new faucet, you can change styles, but will have to stay with the same size, or replace the sink if you want to switch. 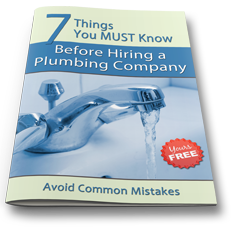 The first thing you need to determine is the size and type of water supply lines you currently have. Water supply lines can vary, but the most common sizes are 3/8" and 1/2". Supply hook-ups also vary but typically are made of flexible plastic, standard copper, flexible braided and corrugated copper. The best thing to do once you find out which size and type of line you have is to shut off the water and bring in the pieces to your local hardware or DIY store to find the faucet that will work best with your particular configuration.